As a passionate surfer and an ocean lover, I'm always on the search for good surf photographers to see how they play with their underwater camera. Well, I think I've found my new favourite and he's right here, in Bondi Beach! 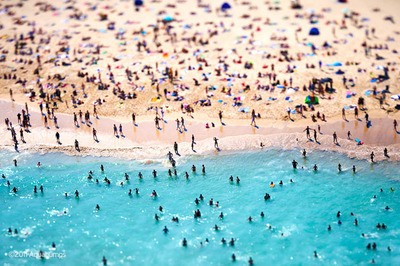 Aquabumps is a gallery depicting Sydney's beaches through photography. From Monday to Friday, the photos are uploaded daily onto this website. The man behind the genius idea? Mr Eugene 'Uge' Tan, a local photographer who kindly sends his catch of the day to anyone who subscribes to his morning newsletter. You don't have to be a surfer or a beach-goer to enjoy Uge's talent. Simply appreciate a man's good eye and obvious talent to capture early morning beach's life, sunrises, lights, movements, etc. If you want your daily dose of good beachy snapshots and a little reminder of what's happening outside your office cubicle, here's my advice: sign up for the daily photos that will make you want to activate your Out of Office assistant. 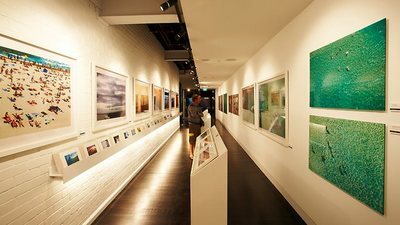 And when you happen to be in Bondi, make sure you stop at the gallery, you might get to chat with the man behind the lens. When: Open Hours: 10am to 6pm Tuesday to Sunday. Closed only on Mondays. Where: 151 Curlewis Street, Bondi Beach, NSW 2026, Australia.